Those are the three words the announcer yells as you enter the title screen of Marvel vs. Capcom. This is the game that started the ultimate crossover between worlds. Heroes and villains from the Capcom universe and the Marvel universe face off in this fast-paced fighting game. Professor Charles Xavier from the X-Men has called out heroes to stop the infamous Onslaught. Team up with anyone from the Capcom side or Marvel in order to save the world from utter destruction. 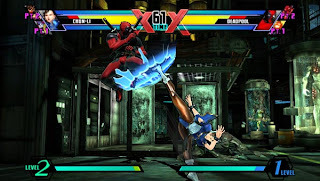 Marvel vs. Capcom: Clash of Super Heroes was released in the late 90s on the arcades, then ported on the Sega Dreamcast and the Sony Playstation consoles. Gameplay starts around the 3:27 mark. Despite the seizure of Victor "Sp00ky" Fontanez's equipment, not only did Guard Crush Team Battles 6 still take place last night (Sept. 28, 2011) at Next Level in Brooklyn, New York but "Sp00ky" appeared on commentary. This week's Guard Crush featured not only Super Street Fighter IV: Arcade Edition teams but also Marvel vs. Capcom 3 teams as opposed to singles. The team of Rush Hour (Chris Hu and Aquasilk) made their return. Henry Cen started a new team on "carry a scrub day" called High Stakes. Sandford also made his return to Next Level to team with MikeG. DragonGod teamed up with NerdJosh for Marvel vs. Capcom 3 teams. Were they successful? See Guard Crush Team Battles 6 quick results below. Tonight (Sept. 28, 2011) Guard Crush Team Battles 6 will be held at Next Level in Brooklyn, New York at 6 p.m. ET. Tournaments to be held tonight are Super Street Fighter IV: Arcade Edition 2v2 teams and Marvel vs. Capcom 3 singles. If you can't make it to Next Level, hang tight. FightVG.com has you covered. Catch Guard Crush Team Battles 6 live after the jump. NOTE: All streams subject to delay. Send your donations to "Sp00ky"
As you may have heard, Homeland Security seized Victor Fontanez's (better know as "Sp00ky") streaming equipment while returning to the United States from the Toronto Fighting Game Championships. At this time and for the foreseeable, "Sp00ky" will not be able to travel and stream tournaments. When we find details on tonight's Guard Crush stream we'll let you know. This is a huge blow to the fighting game community because "Sp00ky" has worked hard to provide top quality streaming for fighting game tournaments. 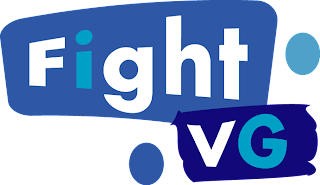 You can make a donation by clicking the link below. Head past the jump to see Fontanez address the seizure of his equipment. You'll have to wait a bit longer for Autumn Games' new fighter. The official Skullgirls website has announced that Skullgirls will not see a release until early 2012. This isn't all bad news, however. New changes and features are being implemented in the game based on the "community's feedback." Among the changes are upgraded backgrounds to 3D as well as game balances and tweaks. For a full list of changes and added features, head past the jump. Wanna get your hands on demos of Street Fighter x Tekken, Ultimate Marvel vs. Capcom 3 and SoulCalibur V? Well here's your chance. CouchWarriors will present Battle Arena 2011 Oct. 1st and 2nd in Melbourne, Australia. If you attend, you'll get the opportunity to play Street Fighter x Tekken, Ultimate Marvel vs. Capcom 3 and SoulCalibur V before they hit store shelves. If you can't attend Battle Arena 2011, FightVG.com will have you covered with a live stream of all the tournament action going down in Melbourne. Monday's never hurt this bad. The fine folks at Option-Select will once again present its weekly Mixup Monday stream tonight (Sept. 26, 2011) from the Zero Ping LAN Center in Ft. Lauderdale, Florida at 9 p.m. ET. 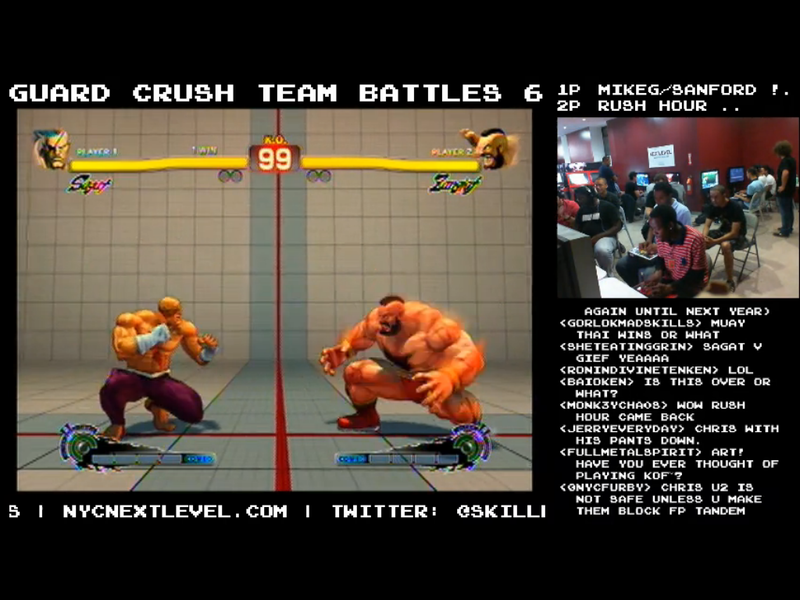 As always you can expect Super Street Fighter IV: Arcade Edition and Marvel vs. Capcom 3 players to do battle. If you can't attend Mixup Monday, don't worry. FightVG.com has you covered. For more Street Fighter x Tekken footage from Eurogamer Expo 2011, click here. It Came from Nintendo: Mike Tyson's Punch-Out!! Do you have what it takes to beat Mike Tyson? Mike Tyson's Punch-Out!! was released on the Nintendo Entertainment System (NES) in 1987. It was a hit back in the day. In the game you help your character, Little Mac become a World Heavyweight Champion. Along the way, you will have to prove yourself in the Minor, Major and World circuits. Proving that size doesn't matter, Mike Tyson's Punch-Out!! has you up against fictional fighters such as Glass Joe, Bald Bull and Piston Honda. Making a cameo as the referee is Mario himself from the Super Mario Bros. series. The game is played in an over the top angle and has very simple controls that anyone can pick up and play. You can dodge left and right and jab from left to right as well. 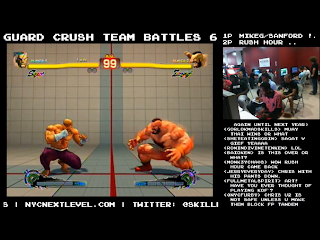 The 24th Guard Crush singles tournament featuring Super Street Fighter IV: Arcade Edition and Marvel vs. Capcom 3 is in the books. Top Arcade Edition players such as Chris Hu, Dieminion and Sandford Kelly participated as well as Marvel vs. Capcom 3 wizards Chris G, remix and Liston. Who took the top spot at Guard Crush last night (Sept. 21, 2011)? Head past the jump for Guard Crush 24 results. Tonight (Sept. 21, 2011) Team sp00ky presents Guard Crush 24 from Next Level in Brooklyn, New York at 7 p.m. ET. See the best players from the east coast do battle in Super Street Fighter IV: Arcade Edition, Marvel vs. Capcom 3 and 3rd Strike singles. Expect top players such as Chris G, Noel Brown, Chris Hu, Santhrax and others to be there. Arcade Edition singles will be played at 7 p.m. Marvel vs Capcom 3 begins at 8, while 3rd Strike starts at 8:30. As usual, FightVG.com will have you covered with a live stream of all the singles action going down tonight. See Guard Crush 24 below. Option-Select will present Mixup Monday tonight (Sept. 19, 2011) from the Zero LAN Ping Center in Ft. Lauderdale, Florida at 9 p.m. ET. The best east coast Marvel vs. Capcom 3 and Super Street Fighter IV: Arcade Edition players will do battle. If you can't make it to the Zero LAN Ping Center tonight, you can watch the stream here on FightVG.com. Catch the live stream of this week's Mixup Monday below. In the 18th Century, there was a treasure that brought treasure hunters and myth believers from all around the world to fight against each other. That treasure was called Power Stone. It allowed the carrier to let their wildest dreams come true. 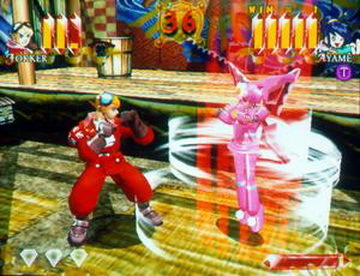 Power Stone released in Arcades and later for the Dreamcast in 1999. Play as one of the 10 characters, each with their own intention for using the Power Stone. Who will win and gain its power? Whoever possesses the Power Stone is up to you, as you travel the world fighting other characters who want the Power Stone for there own intentions. Each character has their own interesting back-story in the game. You get an intro and ending cut scene for each story of the character you choose. Fei Long and Yun are now available on the go. Capcom has released a patch for Street Fighter IV Volt. The patch for the iPhone fighter adds Fei Long and Yun free of charge. The patch also features 60 new icons and titles, a GoodFight button, and a friend request button. Street Fighter IV Volt is available for the Apple iPod Touch, iPhone and iPad. If you already have the game, you can get Version 1.02.00 here. Guard Crush Team Battles 5 is set to go down tonight (Sept. 14, 2011) at Next Level in Brooklyn, New York. Of course FightVG.com will have you covered with the live stream at 6 p.m. ET. A Super Street Fighter IV: Arcade Edition 2v2 tournament will take place as well as Marvel vs. Capcom 3 and 3rd Strike singles. See Guard Crush Team Battles 5 below. Last month, Amazon's french website showed a listing for a future Marvel vs. Capcom 3 release on the PlayStation Vita. Numerous news outlets speculated that the PlayStation Vita would see an Ultimate Marvel vs. Capcom 3 release. Their predictions will now come to fruition. Capcom's European website has confirmed that the Ultimate edition will make its way to Sony's upcoming handheld. The handheld version will be coming out this November like the home consoles and will be released at a "mid-range price." It's that time of the week, again. 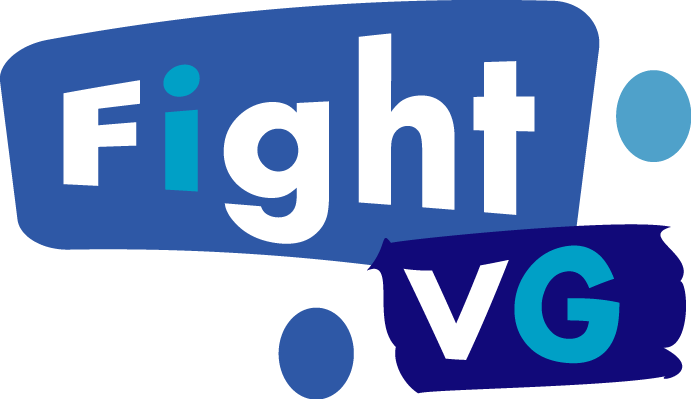 Tonight (Sept. 12, 2011), the folks at Option-Select will host Mixup Monday from the Zero Ping LAN Center in Ft. Lauderdale, Florida at 9 p.m. ET. The best Super Street Fighter IV: Arcade Edition and Marvel vs. Capcom 3 competitors will be there to throw down. Can't make it to the Zero Ping LAN Center? Don't fret, FightVG.com will have you covered with a live stream of the event. Catch the live stream of Option-Select's Mixup Monday below. There's a leak in the house. Xbox360achievements.org leaked Ultimate Marvel vs. Capcom 3 achievements this past weekend (Sept. 10). The leak reveals character portraits of Phoenix Wright, Rocket Raccoon, Nova and Vergil. You can see the portraits below. 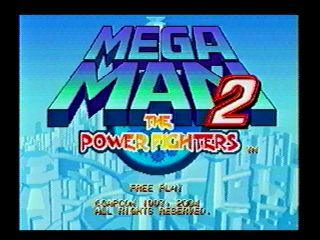 Mega Man returns in Mega Man 2: The Power Fighters. The game was originally released in the arcades as a Japan only title in 1996. It was later ported to consoles and made available in America as part of the Mega Man Anniversary Collection. Power Battle's successor basically plays the same as its predecessor. The controls are the same and as you advance through the levels you gain a new boss ability. It's a blast from the past as even more enemies and allies return in this awesome arcade adventure. Mega Man, Bass, and Proto Man return with Duo, a new playable character who first made his appearance in Mega Man 8. Last night (Sept. 7) Guard Crush 23 took place at Next Level in Brooklyn, New York. Aquasilk looked unstoppable at the Super Street Fighter IV: Arcade Edition tournament, besting KPB Hiro in the Grand Finals to take first place at Guard Crush 23's AE singles. Marvel vs. Capcom 3 matches also went down last night. For the third week in a row, Chris G and Noel Brown met in the Grand Finals. See Guard Crush 23 results below. It's back to the old grind. Tonight (Sept. 7, 2011) Guard Crush returns to Next Level in Brooklyn, NY for its 23rd weekly tournament at 7 p.m. ET. Those in attendance or watching at home will see New York's top players compete in Super Street Fighter IV: Arcade Edition, Marvel vs. Capcom 3 and 3rd Strike: Online Edition matches. 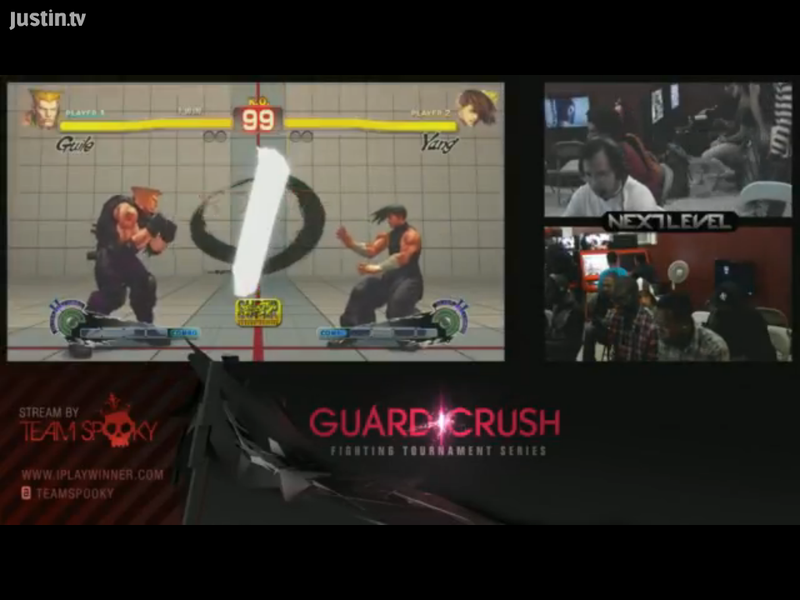 As always, FightVG.com will have you covered with a live stream of Guard Crush 23. See the Guard Crush 23 stream below. After taking the month of August off, FightVG.com's exclusive Retro Friday feature will make its return Sept. 9, 2011. We've featured classics such as Super Smash Bros., Guilty Gear, SoulCalibur 2 and many more. What retro fighting game will we showcase this Friday? There's only one way to find out. Visit the site this Friday for your retro fix. Click here to see previous Retro Friday features. Apex 2012 will take place Jan. 6 - 8 from Rutgers University in New Jersey. What is Apex? It's the biggest Smash event of the year. The best Super Smash Bros., Melee and Brawl players from around the world compete to see who is the best Smash player of 2012. FightVG.com will provide you with the live stream that whole weekend if you can't make it to Rutgers University for the event. See the full schedule of Apex 2012 after the jump. Guard Crush Team Battles 4 went down last night (August 31, 2011) at Next Level in Brooklyn, New York. Super Street Fighter IV: Arcade Edition 2v2 matches and Marvel vs. Capcom 3 singles were in full swing at the weekly tournament. Team DragonForce knocked off HHSlap to take this week's Arcade Edition 2v2 tournament. It was Deja Vu from Summer Jam 5 as Chris G and Noel Brown once again crossed paths in the grand final of Marvel vs. Capcom 3 singles. With Brown going into the finals riding a wave of momentum from previous matches, many wondered if the top 8 Evo 2011 competitor could exact revenge on Chris G.
See Guard Crush Team Battles 4 results after the jump.